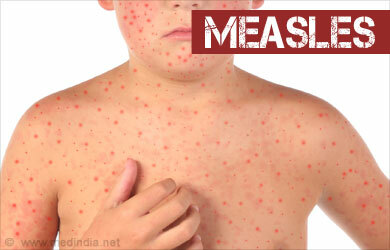 Measles is a highly contagious viral disease that grows and replicates in nose and throat of the person. It is more common in young children. Even though a cheap and effective vaccine is available but the death rate is still high among children. It is a respiratory contagious disease which spreads through a cough and sneeze droplet of the infected person. 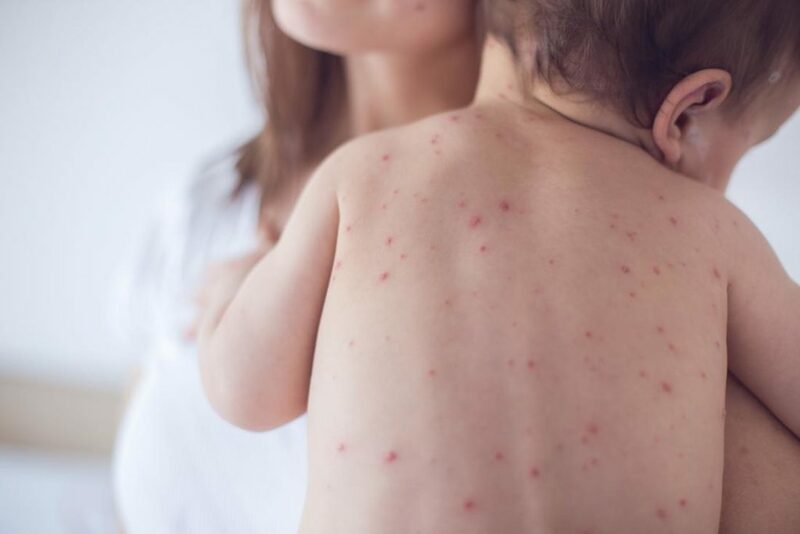 Measles signs and symptoms appear after 1 or two weeks of exposure to the virus. A high-grade fever which lasts for 4 to 7 days. In the initial stage, one may have a runny nose, white spots on inner cheeks, red and watery eyes and cough. After 3 days rash erupts and spreads on the face and upper neck, then on hands and feet. The rash fades in 5, 6 days. The reason which makes measles fatal is complications. Children under the age of 5 are more prone to serious complications. Measles is a viral disease and immune boosters play a major role to fight this contagious disease out of your body. And major immune booster is vitamin A in case of measles. Measles can cause your vision loss so vitamin A also improves your eye health and reduces measles mortality rate. 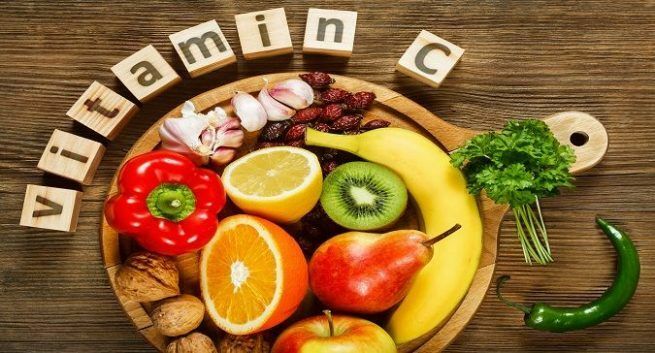 • Foods rich in vitamin C and vitamin A will help your body fight with this virus naturally. Oranges, grapefruit, spinach and green leafy vegetables should be incorporated into your diet. • Rest your eyes and avoid direct contact with light. Your eyes become a bit sensitive during this period so avid using gadgets and watching TV. • You may eat ice chips to relieve a sore throat and to bring the fever down. Damp towel over the chest and vitamin A and C ointment give a soothing effect to rash. • Take half cup of water, add two or three leaves of basil and mint and add a little piece of ginger and boil this mixture. Sip this water once a day to boost your immune system. • Barley is rich in vitamin C, minerals, antioxidants, and zinc. It possesses high healing power. Infuse 2 tbsp. of barley in water and drink it twice or thrice a day. • Turmeric is a herb known for its charismatic antiseptic properties. Pinch of turmeric in half cup milk and reduce the symptoms and provide a soothing effect.